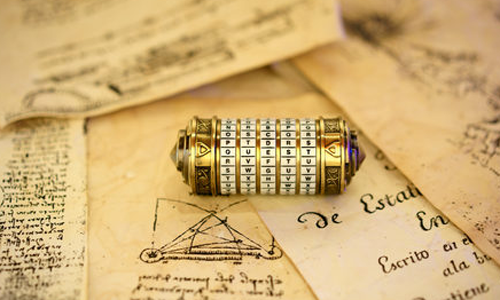 Today's digital security has its roots in physical encryption that dates back at least 2000 years. 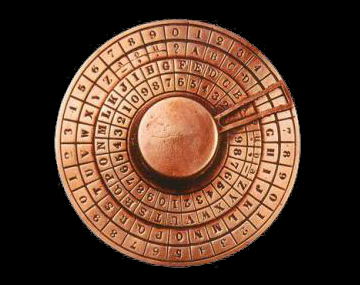 This program discusses eleven of the classic ciphers starting with the Spartan Scytale of 200 BCE, moving through to the Alberti and Vigenère ciphers of the 14th and 15th centuries, and ending with the German Enigma Machine of World War II. Attendees use vintage ciphers and signal devices to encrypt, send, receive, and decrypt messages. 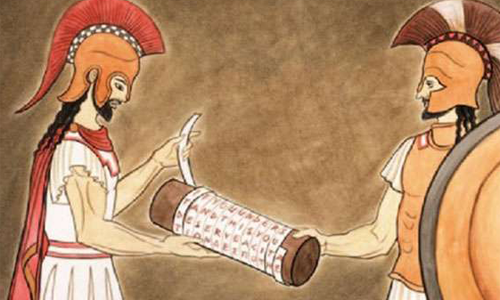 Want to make or break encryption history's greatest ciphers? See my hands-on collection of reproduced historical ciphers as well as my vintage signaling devices. My program kit includes 2 of each type of cipher, 4 telegraph signalers, 4 flash signalers, and 2 semaphore flags. Click on any photo to learn more about a device. Use the arrows at the left and right to move to different photos or simply allow the photos to scroll automatically. Duration: 2.0 hour basic -OR- 3.0 hour full program | Age Range: 9-Adult/Senior | Participants: 4-30 | Cost: Starting at $249 for 2 hours, $269 for 3 hours | Requirements: Video Projector with HDMI port and speakers ; 1 large table for presenter's items ; 10 tables with 4 chairs each ; 1.0 hour setup and breakdown times ; additional travel charges may apply. Contact for details.